Hotel Diplomat is a liesure hotel with 20 well designed rooms haveing both AC & Non AC rooms, all the rooms come with attach bathroom & room service round the clock. Good location & easy accesebilityto our hotel by bus, taxi & metro rail. We are sitauted just 17 km from the airport & 6 km from railways station by taxi. 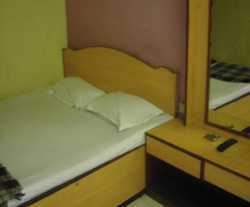 All the room has standard amenities with room service, attach bathroom & TV with satellite chanell's. Options of ac & nON AC rooms are available. Payment shall be made directly by the customer in CASH only. Full day shall be charged on same day cancellation. Our hotel is easliy accesable by metro bus or taxi. By taxi from airport it takes just 40 mins taking the route of bridge no 4 through park circus & connecting to park street is the shortest way to our hotel.